All our District 12 Norfolk newsletters can be downloaded here in full colour in pdf format. Click the issue you prefer and it will open in a new window. 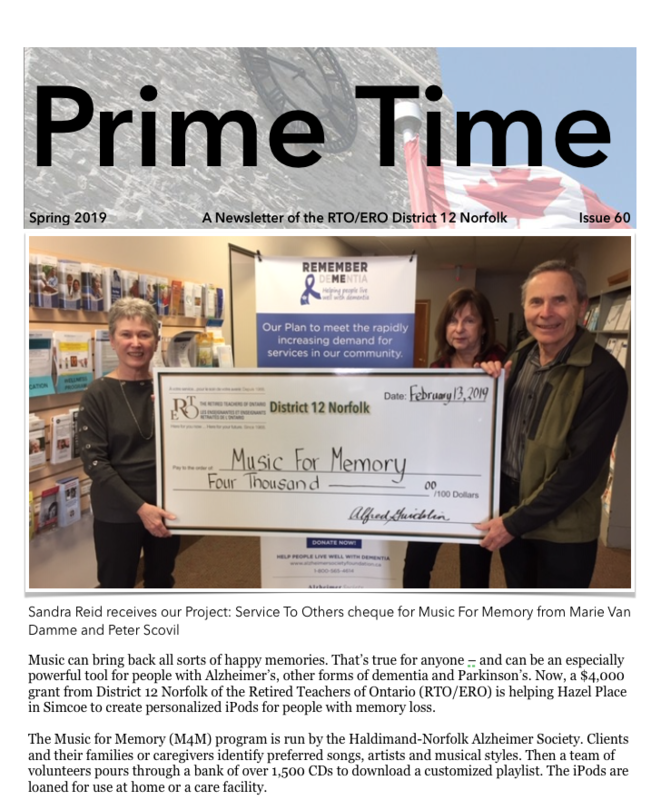 Our newsletters are printed locally by Second Avenue Printing and bulk mail processed by Classic Mail Services, London ON. How did our newsletters get from the printers to our members? 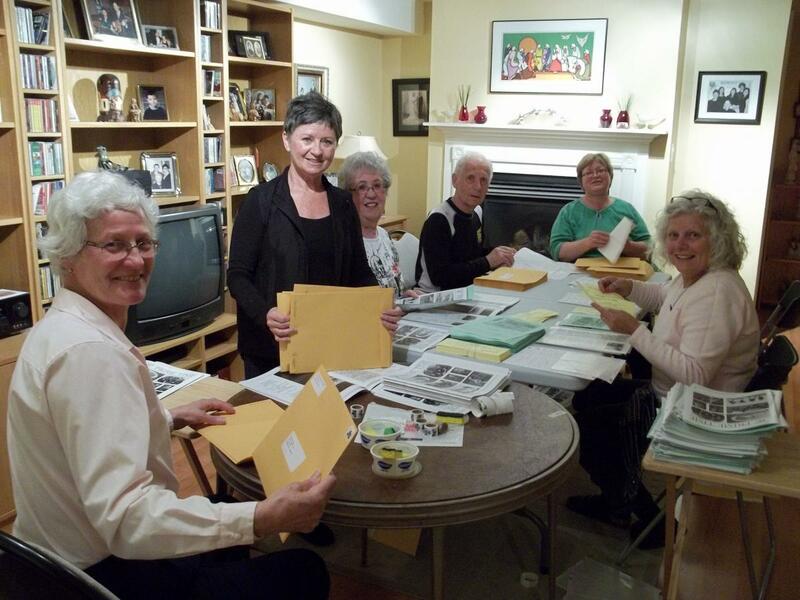 Back in the day, before 2015, we had a dedicated and efficient group of stuffers! In the course of about two hours, we attached address, return labels and stamps to about 550 9x12 inch brown envelopes, inserted luncheon forms and a newsletter, then sealed the envelopes. We kept extra issues on hand for prospective members and complimentary samples for the curious. Margie Ridzon, Rosey Guidolin, Sandy Sime, Dave Garner, Nancy Smiley and Mary Antoniolli. Providing programs and services for all retired educational employees and their families.